Many pillows soften things–the seat of a chair, where you lay your head at night. Their purpose is to assist with ease and healing. Cartoon heaven is built upon clouds that look like pillows. 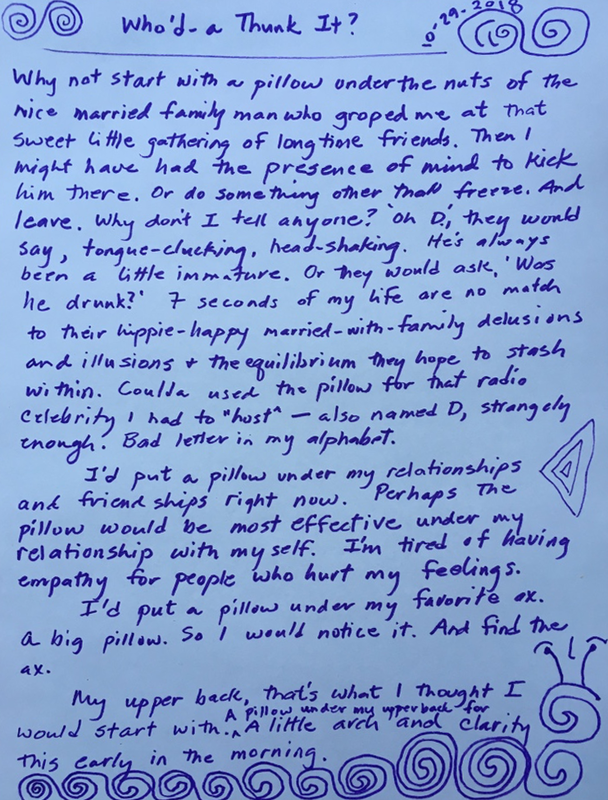 Write about pillows, real and imaginary. What is it like to put a pillow under a sore foot? Do you know of any situations or relationships that could be eased along with a couple of well-placed pillows? Where would you put the pillows that could change the world? When you have finished, give your work a title, and be sure to write the date on it as well.